This will prevent Lost from sending you messages, friend request or from viewing your profile. They will not be notified. Comments on discussion boards from them will be hidden by default. Sign in to Goodreads to learn more about Lost. We’d love your help. Let us know what’s wrong with this preview of All These Beautiful Strangers by Elizabeth Klehfoth. ⇝ With a Full-Cast Narration including Dan Bittner, Fred Berman, Gabra Zackman and Rebecca Solar as Sadie. This book was right up my alley! It has all the things I love; mystery, humor, San Diego Comic-Con, a smart and sassy MC named MG who works for a comic book company, owns a corgi named Trogdor, designs costumes, prefers email over phone calls and tos This book was right up my alley! It has all the things I love; mystery, humor, San Diego Comic-Con, a smart and sassy MC named MG who works for a comic book company, owns a corgi named Trogdor, designs costumes, prefers email over phone calls and tosses out references and nods to all of my favorite fandoms. "I can't help myself. I squeal like a Whovian at the start of a new regeneration." If she existed, we would absolutely be best friends. When she meets Officer Herbal Tea at a coffee shop she is 100% unimpressed. The hipster cop is in dire need of geek immersion, having never seen Star Wars, The Princess Bride, Dr. Who, the list goes on and on. "If it were possible for this guy to be getting less and less my type, he's doing it in a hurry. Worse than a Muggle, he's a vanilla Muggle." Matteo (Officer Herbal Tea) is working on a case involving a possible vigilante of justice and discovers that MG's comic book expertise is exactly what he needs to help solve it. He poses as MG's boyfriend in an attempt not to raise suspicion that he is a cop and the two are actually working on a case together. "Just call me Temperance Brennan. And Matteo is so Seeley Booth." One of my favorite characters is Lawrence, MG's best friend, hairdresser, costume model/drag queen, or as she refers to him, the Fezzik to her Inigo. When they team up things get pretty humorous. I love the wit and sarcasm of the characters and there is just the right amount of romance between MG and Matteo. I got so many chuckles reading this book that I had to give it a solid 5 stars. I'm so happy this is going to be a series! We’d love your help. Let us know what’s wrong with this preview of Lord of the Fading Lands by C.L. Wilson. I'm a big fan of Oliver's Delirium series and I LOVED the Replica duology, so if there's a new Oliver book, I'm going to pounce on it. Broken Things is more of a murder mystery, and I love that Oliver branches out so much in her writing. We have thre I'm a big fan of Oliver's Delirium series and I LOVED the Replica duology, so if there's a new Oliver book, I'm going to pounce on it. Broken Things is more of a murder mystery, and I love that Oliver branches out so much in her writing. We have three friends, Summer, Brynn and Mia who are obsessed with a fantasy book called The Way into Lovelorn, and love to play act it out. They decide to write their own fan fic sequel to the book, but their lives change forever when Summer is murdered in a similar ritualistic fashion as they wrote in their Return to Lovelorn sequel. Now both Brynn and Mia are suspects along with their friend, Owen. This is a story about a troubled girl who, at times, is unlikable, mean, and broken. Other times, she is the glue that holds their friendship together. The magical, beautiful girl that everyone can't help but love. We get clues to Summer's past and her need to believe in the magic and escape of Lovelorn sprinkled throughout the "Then" chapters chronicling the lives and friendships of the girls before Summer is murdered. In the "Now" chapters we learn how, years later, Brynn, Mia and Owen are dealing with life after being scorned and suspected of murder by their hometown despite the police never having found evidence to pin it on any of them, and their struggle to find the real killer. As always, Oliver's writing kept me glued to the book, despite a particular scene of animal cruelty involving a cat. I have to admit, that was very hard to get through. I'm the type of person who loves a good murder mystery, but will refuse to watch a movie unless I know for a fact that the animal does not die, otherwise my week is ruined. Kill off all the fictional people you want, just please leave the fictional pets alone, and yes, I know it makes no sense whatsoever. Oliver is really good at writing characters who are flawed and have many different layers. Each character has their own different struggles and insecurities which are revealed as the story progresses. This book is a bit unsettling, and dark at times, but I felt the ending was satisfying. I especially enjoyed that very last sentence. We’d love your help. Let us know what’s wrong with this preview of Broken Things by Lauren Oliver. Lost Girls has completed her goal of reading 20 books for the 2018 Reading Challenge! 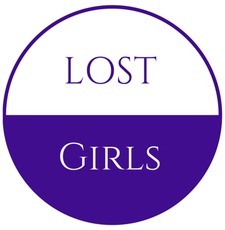 Lost Girls has read 0 of 20 books. Lost Girls read 21 books of her goal of 20! Lost Girls read 50 books of her goal of 40! Lost Girls read 22 books of her goal of 20! Take a look at Lost’s Year in Books. The good, the bad, the long, the short—it’s all here.